It looks like everyone’s having a go at creating a standalone DJ system this year, enter the Gemini SDJ-4000. Gemini have always aimed for the value end of the market, offering a large amount of the same features you see on the higher-end gear, at a much more affordable price-point. With “Standalone” definitely being a buzz-word in the industry at the moment, it’s about time we see some of the more value-orientated brands come out with some offerings. Another interesting thing to note is that Gemini is boasting that they have the final release product ready to ship to stores ASAP, while some of the other bigger brands are still boasting their manufacturer prototypes. The confidence in the new Gemini SDJ-4000 is a very good sign, often manufacturers use demo prototypes to iron out kinks in the design, while Gemini are confident the new Gemini SDJ-4000 is ready for the public. 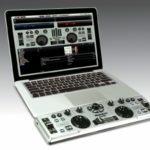 The new Gemini SDJ-4000 is a four-channel system, although it only allows for two standalone channels, there are external inputs for laptops, CDJs or turntables. 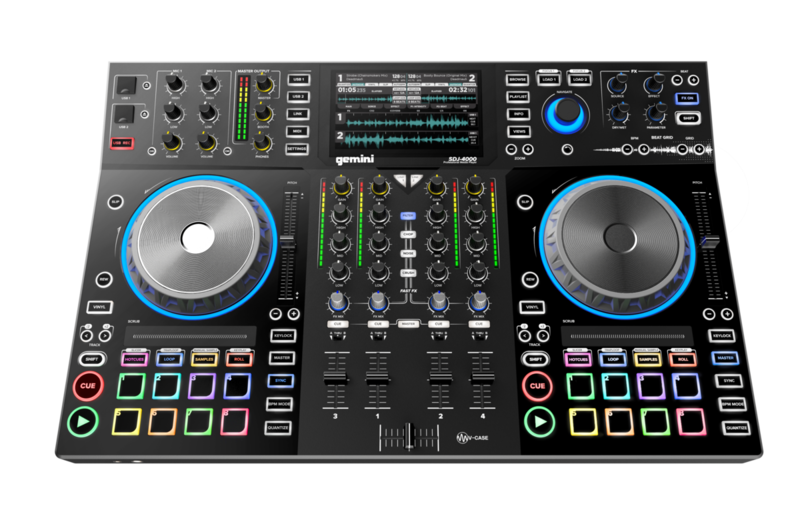 There are two USB input sockets, allowing for DJ changeovers or simultaneous playback and recording. 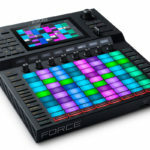 As is becoming pretty standard with DJ systems nowadays, there are eight performance pads per-deck, allowing for cue juggling, samples and more. There’s a touch strip for quickly jumping to a specific part of the track. 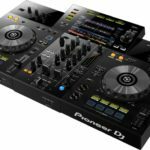 The four-channel mixer incorporates selectable mixer FX per channel, similar to the Color FX from Pioneer mixers. There’s also an additional FX engine which is assignable to various inputs. 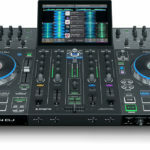 The Gemini SDJ-4000 has a high-resolution screen that displays parallel waveforms, playlists and various other settings. The Gemini SDJ-4000 has independent Master and Booth outputs for cueing, there are line inputs and phono inputs for turntables, and two microphone inputs. 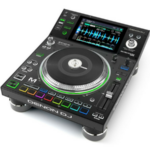 The Gemini SDJ-4000 is set to retail at USD $999 (Around R13,5k excl. duties), which is not bad at all! For more information check out the Gemini website. 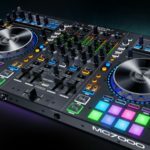 Denon MC7000 users thrilled with new features in the latest update!